The idea of a smart, always-available, hands-free, voice-powered virtual assistant that can answer health-related questions, deliver medication reminders, facilitate communication with one’s doctor, provide health coaching, and more, has more than piqued the interest of the healthcare community -- and Amazon has responded. 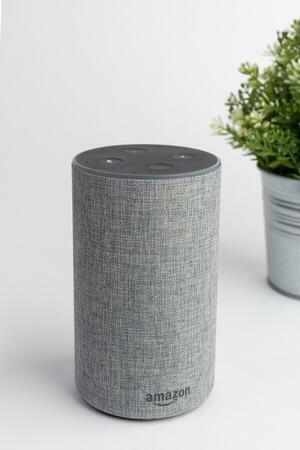 Up until now, use of Alexa for healthcare has been limited to question answering services – voice apps, or “skills” in the Alexa parlance - that can answer general questions about health conditions, treatments, symptoms, etc. If you own an Amazon Echo, you may have tried one of these skills, like Answers by Cigna or one of the many symptom checker skills available in the Alexa marketplace. Applications that track patient health between clinical visits are key to providing both the patient and their care providers visibility into wellness and ensuring more timely and informed interventions. Early pilots of voice-powered remote patient monitoring (RPM) solutions have showed very promising results with respect to patient engagement and quality of care. See this case study from Orbita partner Libertana. Solutions that deliver care plans generated by real-time voice-driven responses are on the horizon. For most drug and device development, the FDA requires pharmaceutical and biotech companies to collect data from the clinical trial participants. Accuracy and timeliness of these data are critical to the success of any trial. Hands-free, voice-powered experiences through which trial participants can easily receive reminders and respond to regular, requisite assessment surveys improve engagement and, correspondingly data quality. Drop off rates – a nemesis of trial timeliness – are reduced. Drugs come to market more quickly and more cost-effectively. 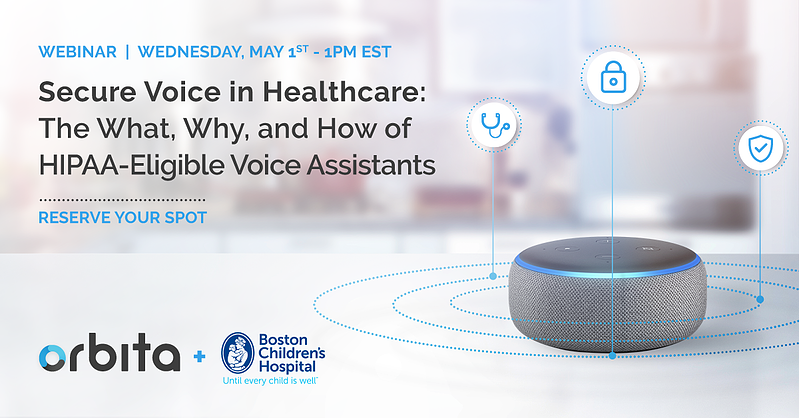 Orbita has teamed with Brigham & Women’s Hospital and pharmaceutical manufacturers to explore the use of voice-powered virtual assistants in these types of applications. Patients who understand and are educated about their conditions, know everything they need to know about the use of their prescribed drugs, and are supported in their care journeys are more likely to adhere to treatment and medication. 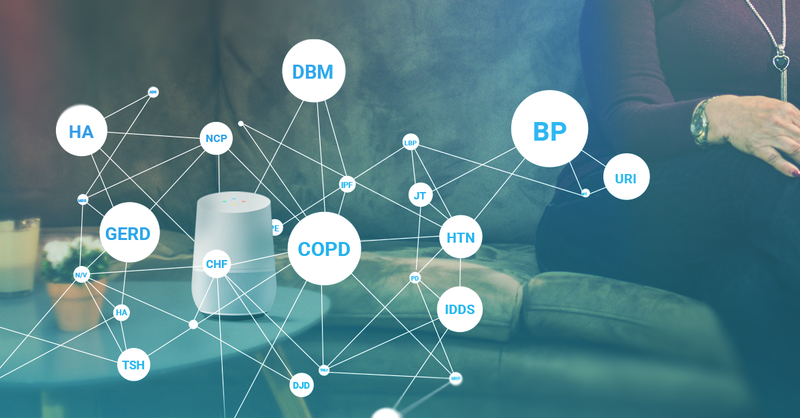 Orbita has teamed with major pharmaceutical brands, providers, and payers to develop beyond-the-pill virtual assistant experiences that improve post-prescription patient engagement and adherence. Lack of medication adherence is one of the costliest burdens to the healthcare system. Real-world savings are realized. If you’re considering a secure, voice-powered virtual assistant for a clinical application, contact Orbita. We are the healthcare leader in conversational AI for enterprise voice- and chatbot-powered virtual assistants and can help you navigate these new waters. 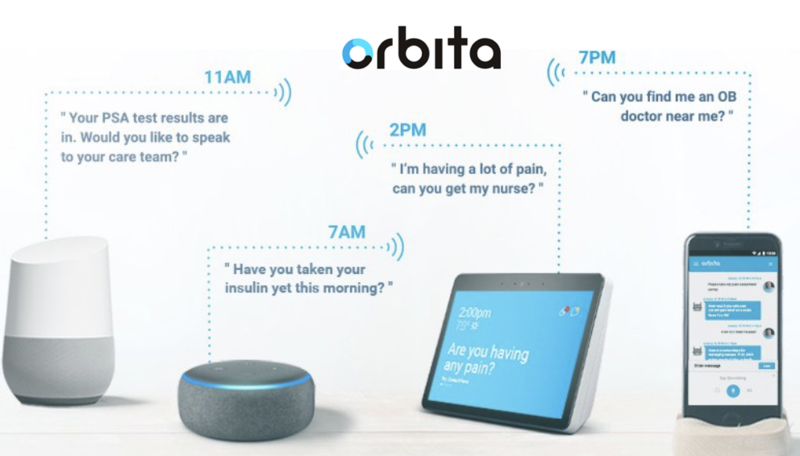 Click here to request a complimentary “Amazon Alexa, HIPAA, and You” consultation with Orbita. During this one-hour call, an Orbita voice security expert will help you understand the implications of Amazon’s announcement for voice solutions in your organization and help you identify opportunities to tap the potential of transformative, secure voice-first applications.